If you want to understand allodynia and fibromyalgia, try to imagine a world where the gentle touch of a loved ones hand causes excruciating pain. In this world, putting on a t-shirt, dropping an ice cube on your arm, or a friendly tickle can lead to discomfort or extreme pain. For sufferers of a condition known as allodynia, these experiences occur regularly. The basic definition of the condition is pain that is produced from situations that typically should not cause pain. Allodynia can be a tough symptom because the pain suffered by some patients is not caused by any known mechanism of pain identified by medical professionals today. Specific sensory neurons are believed to cause the pain, and these neurons can vary from one person to another. 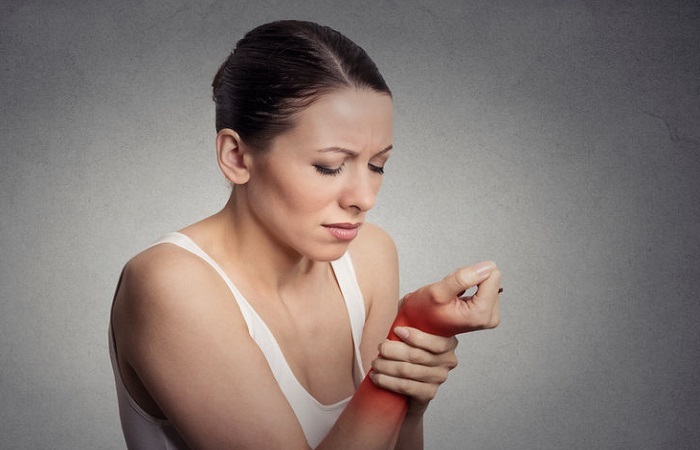 In most cases, the pain is connected to fibromyalgia or over-active nerves close to the surface of the skin. We know that with fibromyalgia comes over-active nerves and nerve endings that can exacerbate this kind of symptom. You may find that you are more sensitive in your extremities (hands, feet, arms and legs) Also, your face or head could be another area for symptoms of allodynia. Tactile Allodynia: Pain is caused by light touch. Something as simple as lying on a bed or putting on clothing can cause incredible discomfort. Mechanical Allodynia: Pain is caused by light movement of objects over the skin. Imagine brushing shoulders with a loved one in the hallway and wincing in pain. Thermal Allodynia: The body overreacts when exposed to heat or cold. For instance, an ice cube barely touching the skin can cause extreme pain or a sunny day can lead to unbearable discomfort on the skin even without a sunburn. Static Allodynia: This is a form of mechanical allodynia that results from light pressure applied to the skin. A finger touching the skin might not cause pain, but someone gripping your arm lightly may feel extremely uncomfortable. The symptoms of these conditions can range from a mild annoyance to debilitating pain that makes daily life difficult to manage. Some people may experience symptoms continuously while the discomfort comes and goes for others. One person may describe the pain as a pins and needles feeling while it’s sheer pain for another. The variance in the condition along with the unknown cause makes this one of the biggest medical mysteries afflicting fibromyalgia sufferers today. Someone with an extreme sensitivity to heat may need to avoid hot showers or staying outdoors in the heat for too long. If you are sensitive to cold, it would be a good idea to stay warm by always having a sweater, gloves, or hat with you, whatever helps you to avoid getting cold, which for some people with fibromyalgia, can cause a flare or increase of symptoms. For those with touch sensitivities from allodynia and fibromyalgia, wearing minimal clothing with extremely soft, light fabric may help. Winter time can be challenging. “Layering” doesn't always work as well for the fibro body due to the sensitivity of weight on the skin and body. Too many layers on the upper body can also cause the neck to move ever so slightly forward causing you a real pain in the neck, literally!! I also caution against using chemical lotions and other body products on the skin. Be aware that many moisturizing products still contain many chemicals. Chemical Sensitivity in Fibromyalgia. Let me give an example of how I personally experience this symptom. Now, I would attribute my experience more with what we call “thermal allodynia” as noted above in types of allodynia. Although in my case, it is not just temperature, it is a combination of any kind of toxin in the air/environment and then what occurs for me is a “sensation” of extreme cold on my hands, feet or around my head. So let's say I am exposed to something like a toxic air freshener saturating the air, or a strong fragrance off gassing from someone's body, and although it doesn't happen every time that I am exposed, when it does, it creates a very uncomfortable feeling where my hands become very cold and it feels like there are needles just under the surface of my skin and then on the surface, feels cold. I always avoid using liquid hand soaps in public places for this reason, as the strong toxins and fragrance in the soap will immediately cause this symptom. I can almost always attribute that sensation to something I was just exposed to, however not everyone can, so I wanted to note how that symptom could be “activated” in another way that is not necessarily explained within types of allodynia. I hope that is helpful, and thank you for reading. Lisa.